Wow, December sure is a hectic month! I’ve been running around like a headless chook (or turkey, to be festive) getting Xmas shopping done. Today alone, we’ve visited three shopping centres in total. One to pick up some gifts, one for groceries, last one for items that the other supermarket didn’t have. And our fridge is now near the point of explosion! I don’t want to go to supermarkets again for at least 2 weeks….. Nonetheless, it feels good to get most of the stuff needed. Looking forward to picking up the turkey tomorrow too! Speaking of turkey, one of the most important and also traditional condiments is cranberry sauce. 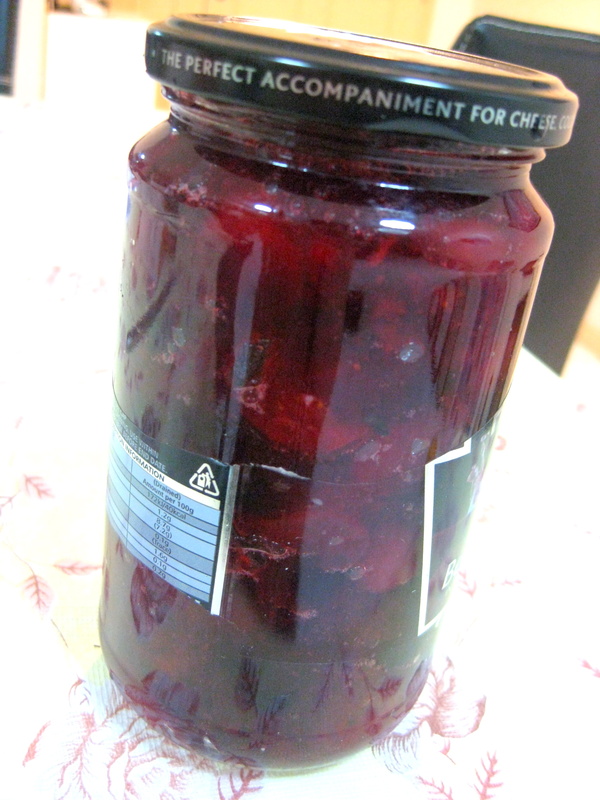 In the past I have always used the ones from a jar, mainly because it wasn’t as easy to find fresh cranberries in Melbourne during this time of year. But I spotted some this time in our local supermarket! Granted, 340g costed RM15.99 while the canned ones are around RM6-8. Which makes me a complete idiot for making my own, no? I guess it’s just more satisfying when it’s “home made”, do you feel this way too, fellow cooks? 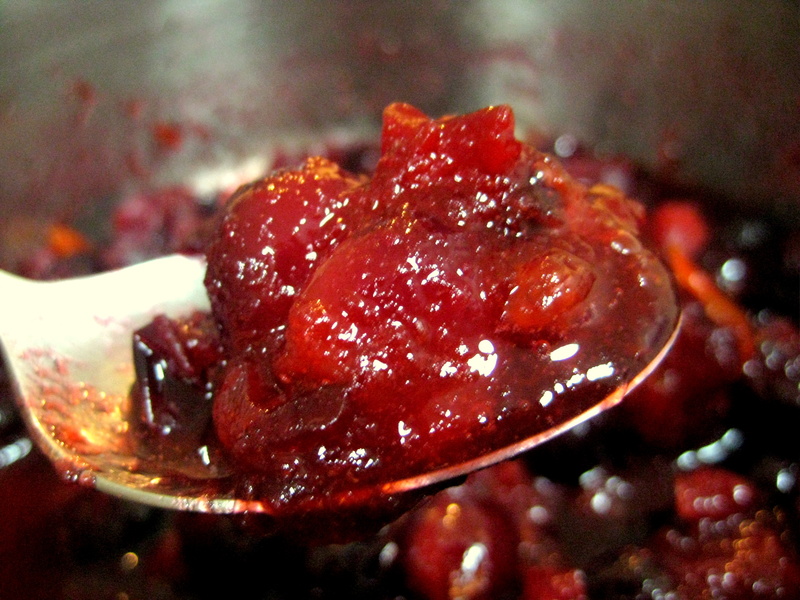 Making your own cranberry sauce is really simple. And it only takes about 15mins. Of course, you can make them straight forward with just cranberries, water, sugar. But you can have so much more fun dressing up with your favourite spices or aromatics! Also you can substitute part of or all of the water with orange juice, or wine. The possibilites are endless. This time, I’ve chosen to use half wine, half water, and I’ve added orange peel and all spice berries. It smells wonderful! You’ll need fresh cranberries, but if you can’t find those frozen ones are fine too. 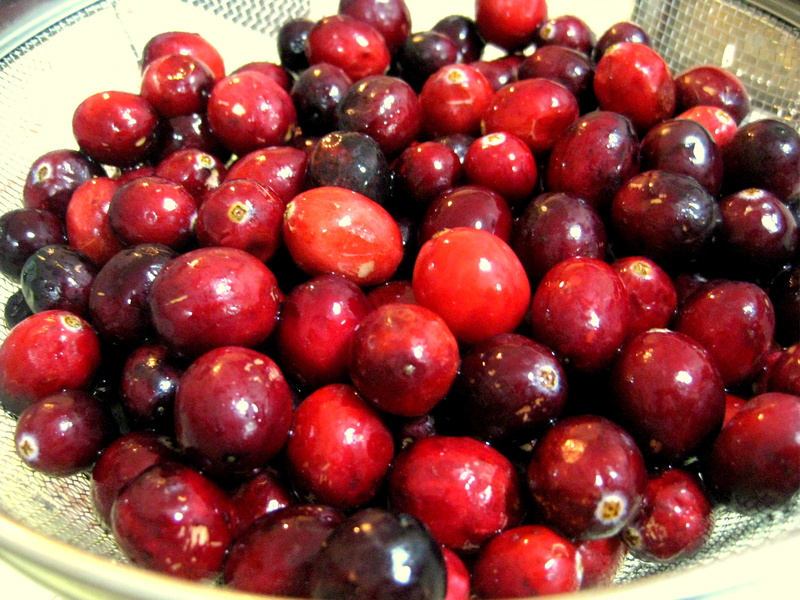 Tip cranberries into a pan with white wine, water and caster sugar and bring to the boil. Add orange zest into the mixture. Simmer gently for 10-15 minutes until the berries start to burst. Remove from the heat and beat lightly with a spoon so that some of the berries are broken up. It will looks like this heavenliness! Let cool, then spoon into a sterilized jar, it should keep in the fridge for 2-3 weeks. It's good to reuse your jars! Just make sure you sterilize them. Make it now for your Xmas lunch/dinner! It goes well with other proteins too. And you could also use it for sandwiches, cheese, and it makes a perfect edible gift. 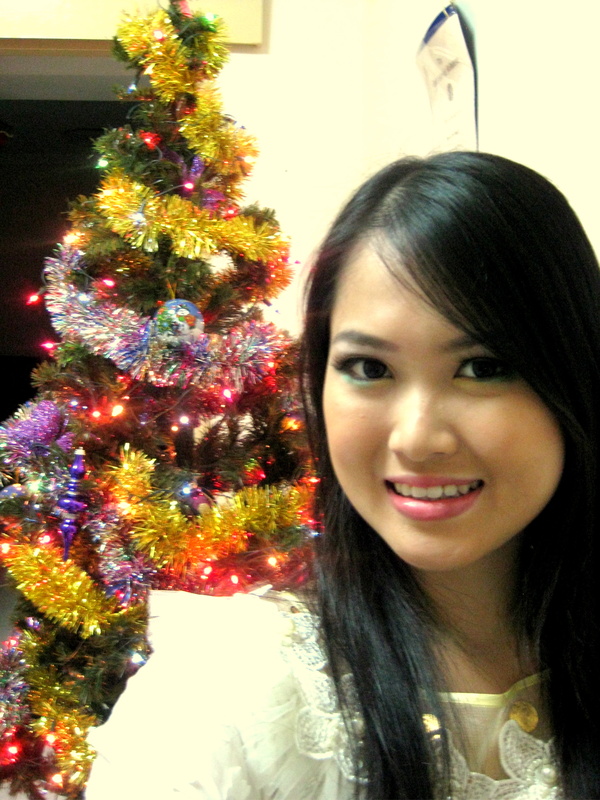 Oh just for kicks, here’s a pic of my very first Xmas tree, with Yours Truly. This was a beautiful addition to Christmas dinner. Very rich and bursting with flavour. Wanted to take it to bed with me that night.